So the other day, space alien robots came down from the sky and said to me, "Earthling, tell me who the king of the Blues is or you will spend the rest of your days as an exhibit in the Imperial Zoo on Zeta Reticuli." I said, "Aha! A trick question, because, as you know, there are three Kings of the Blues: Albert, B.B., and Freddie." So, from my glass-walled exhibit at the Zetan Imperial Zoo, I had to spend like three days shouting from behind the glass at those gaping lizard people, "Freddie! Freddie King! Freddie King is the King of the Blues! Neither Albert King nor B.B. King but Freddie King! I'm sorry! Can I go home now?" They threw some sort of food pellets at me. Mmmmmmm, food pellets. They tasted like shrimp flavored cat-food. Don't ask. Anyhow, the tablet device they provided me had interstellar YouTube access, so I played them videos to prove it, even though most of them regarded me like that gorilla who knows sign language or that elephant who paints in oil. I'm pretty sure I heard one of them say "Awww, look! It thinks it's Reticulan!" Here's the first one I showed them. And they loved it, because it's classic Freddie - that swagger, that tone, that suit, that collar, all of it. School is in session so shut up and pay attention, I told those stupid Reticulans. And some of them noticed. The Zetan equivalent of Dr. Zaius took note, and asked me to play the songs of my people again, so I came up with a good one. I figured that it's hard to out-Bill Withers Bill Withers, especially on his own Grammy-winning song, but damned if Freddie don't put some serious soul into this next one - his vocals, as usual, are a stunning mix of grace and power, just like his guitar playing - hence his nickname, "The Velvet Bulldozer." A jovial and energetic Texan by way of Chicago, King was an originator of the continuum that spawned Jimi Hendrix, Eric Clapton, and Stevie Ray Vaughan; see if you can spot the what Jimi, Eric, and Stevie took from Freddie during this powerful performance of "Ain't Nobody's Business." WARNING: King's playing in this clip is in violation of most city fire codes. It may trigger fire supression systems above your cubicle. Be sure to pour water on your computer, stir, and pour more water on your computer after solo is extinguished, lest a smiting from Smokey the Bear befall you. The Zetans really enjoyed that one, so they reluctantly let me return to Earth; and as a show of gratitude, I left them as I will leave you - with this hour-long live set, recorded in Europe in 1973. 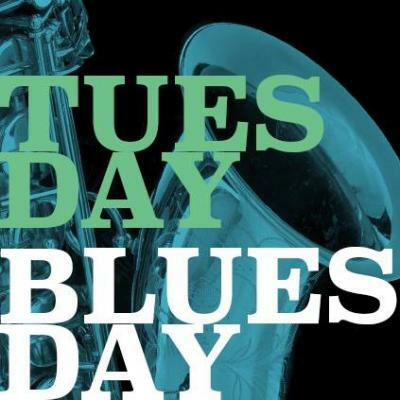 Tuesday Bluesday appears in the Erie Reader every Tuesday and is about the Blues, which is lucky, because if it didn't and/or it wasn't, the title would be all wrong. But it does and it is, so check in each week for words, moving pictures, and sounds intended to remind you of the rich legacy of this unique, ubiquitous, American, African, ancient, contemporary musical art form that has somehow managed to influence, well, every musician for the past 100 years. Slip your thoughts into the suggestion box by emailing cVaillancourt@ErieReader.com, or find Cory Vaillancourt on Twitter @VLNCRT.